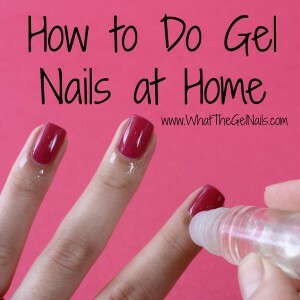 DIY gel nails are amazing and in my mind, gel is definitely the best nail polish. 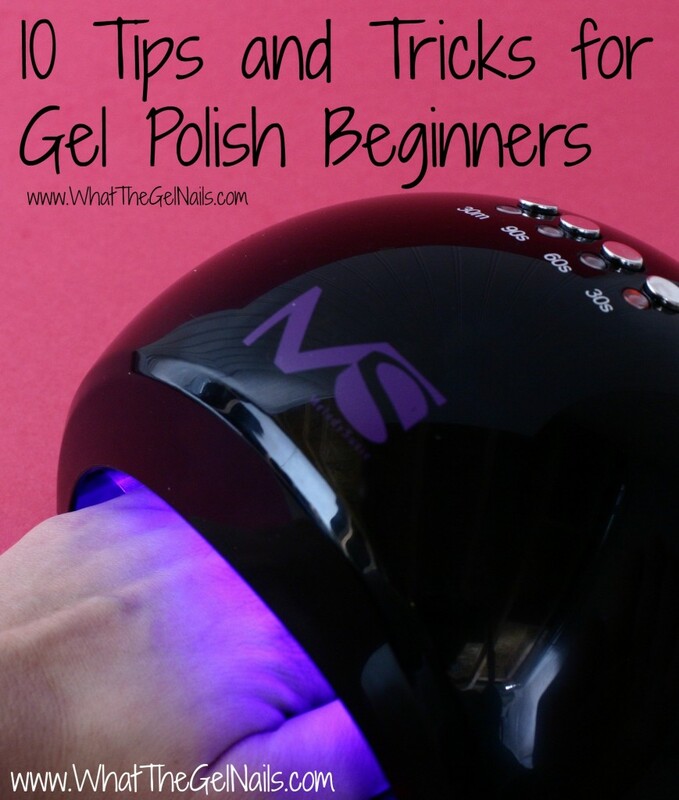 But, if you are new to gel polish you may encounter a few problems and think gel polish just isn’t for you. Gel polish application and removal can be a bit tricky, but I promise that the art of a gel polish manicure CAN be mastered. Here are 10 tips and tricks to help you in any mishaps you may have. 1. Clean Your Nails. 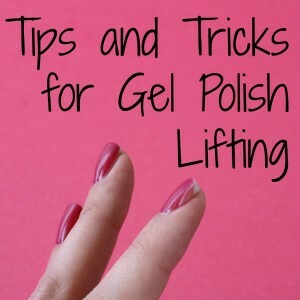 You must have clean, dry nails in order for gel polish to adhere correctly. 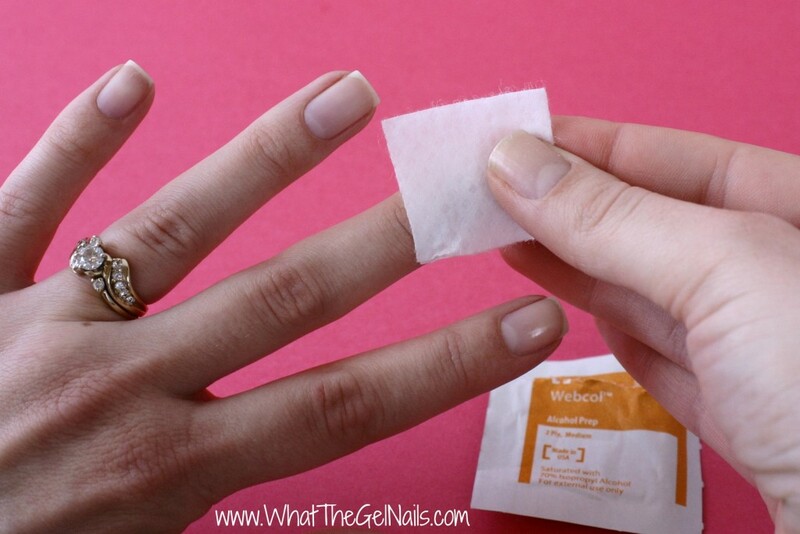 After buffing your nail, use a lint free wipe soaked with 91% alcohol to cleanse your nails of any extra debris. Clean all the way to the cuticle and around the sides. If there is any debris on your nail, the gel polish will stick to it instead of sticking to your nail. :-/ That’s a recipe for disaster. 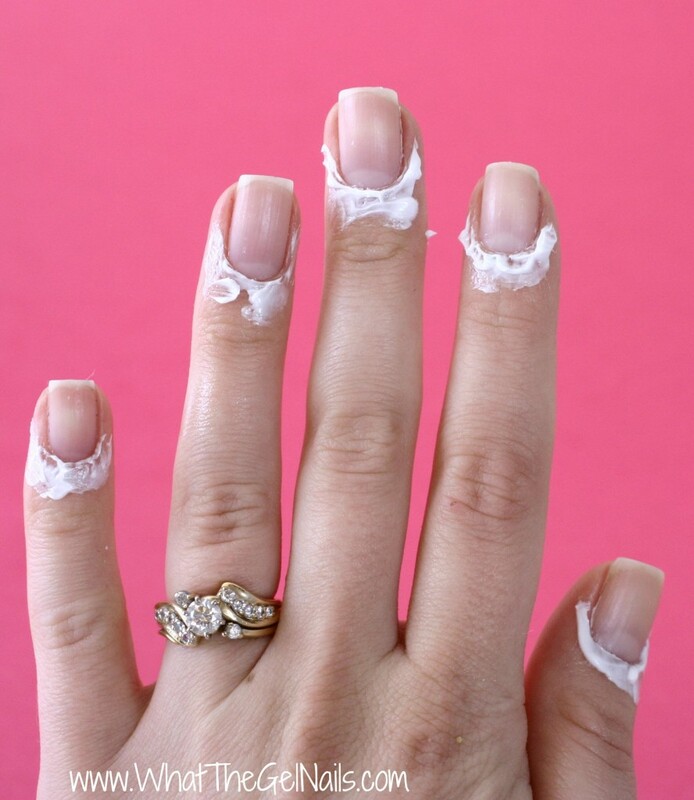 Well, a recipe for a shorter lasting manicure, anyway. 3. 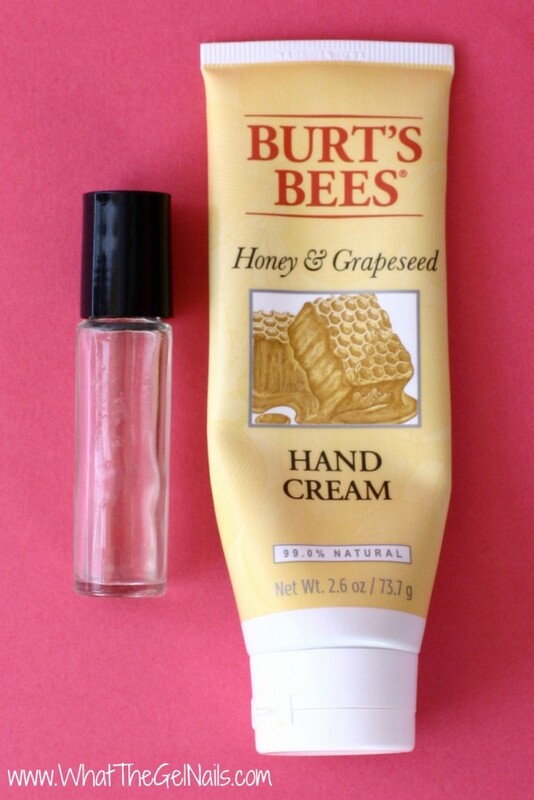 Apply Aquaphor or Lotion Around Cuticles. 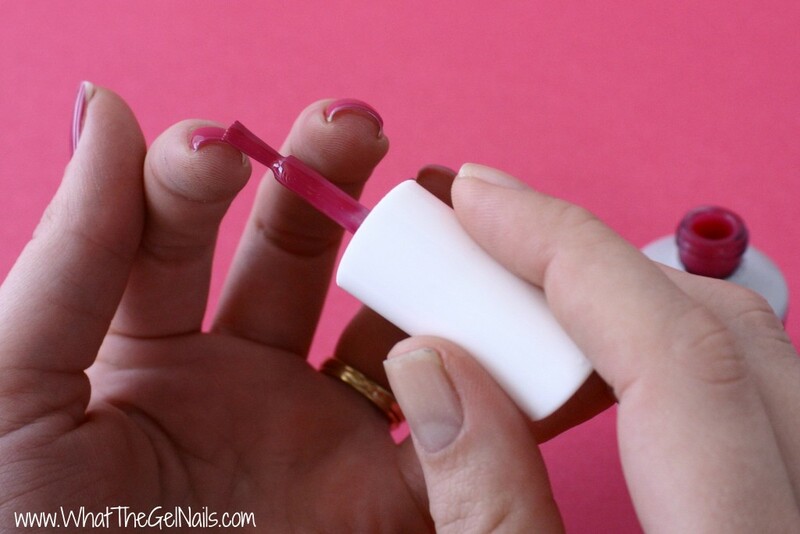 Use a q-tip to apply aquaphor to your cuticles before you do a gel polish manicure. Don’t get any on your nail, but cover the cuticle and sides of your nail. That way, if you accidentally get some gel polish on your cuticle, it will actually be on the aquaphor and you can wipe it right off when you are done with your gel polish manicure. Score! You can also apply aquaphor or lotion to your cuticles during gel polish removal so that the acetone doesn’t dry out your cuticles as much. 4. Use Short Strokes. When painting on the gel polish, use short strokes, especially around the cuticle and edge of your nail. Short strokes are easier to control so it will help you get nice even lines around the edge. You have to be extra careful on the first coat of color, but once that’s down, it’s much easier to keep your other coats in those nice lines. 5. Use Thin Layers. Gel polish has a slightly different consistency than most nail polish which can definitely throw you off if you are new to gel polish. You don’t need as much gel polish on your brush as you would with regular nail polish. If you get too much gel polish on your brush, the gel polish will pool and get thick around your cuticles and nail edge. Bleh. But, if you use thin coats, you will completely avoid this problem. Yeah! Just remember, it’s better to do 3-4 thin coats, than to do 2 thick coats. See my Swatch Gallery for pictures of some great gel polish colors. 6. Cap the Free Edge. When using gel polish, it’s important to cap the free edge. This means to paint the end of the nail after you have painted the actual nail part of the nail. 😉 When you cap the free edge it will prevent the gel polish from lifting which means you’ll have a great, long-lasting manicure. You should cap the free edge on every coat, but it’s especially important for the base coat and top coat. 7. 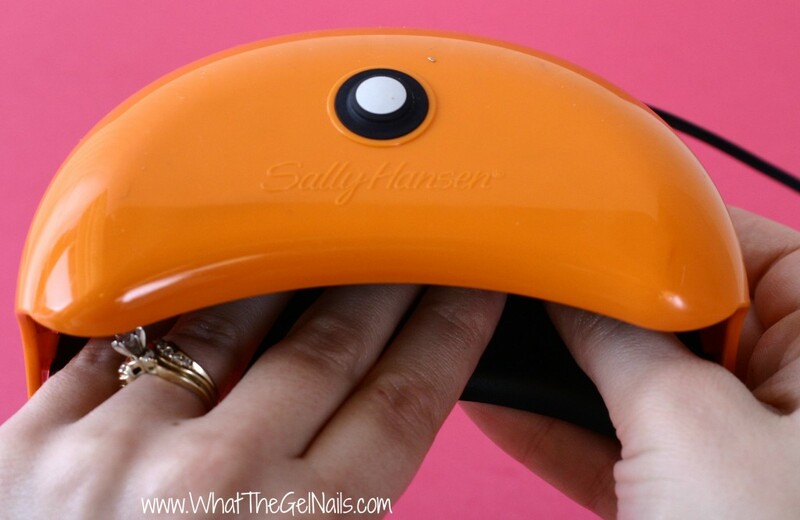 Remove Extra Gel Polish BEFORE Curing. Gel polish cures hard when you cure it in your UV or LED lamp. That means, if you accidentally get some on your skin and cure it, it’s not coming off. I’ve made this mistake a few times, but the good news is, it’s very easy to remove as long as you do it BEFORE curing. 🙂 Gel polish wipes away much more easily than regular nail polish, so don’t be afraid to wipe off any excess polish that may have gotten on your skin. 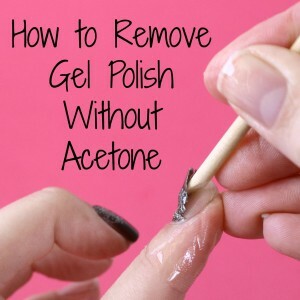 You can also use a small brush dipped in acetone to wipe off the nail polish. 8. Cure in the Right Size Lamp. If you have a 4-finger lamp, don’t try to cure all 5 fingers from one hand because it will not cure properly. That being said, I have figured out a cool trick to be able to cure 5 fingers at a time. See the picture below for the trick. If your lamp is too small for my trick, never fear, you can still use a 4-finger lamp. Just cure 4 fingers from one hand, 4 fingers from the other hand, then both thumbs together. 9. Completely Cover Color With Top Coat. 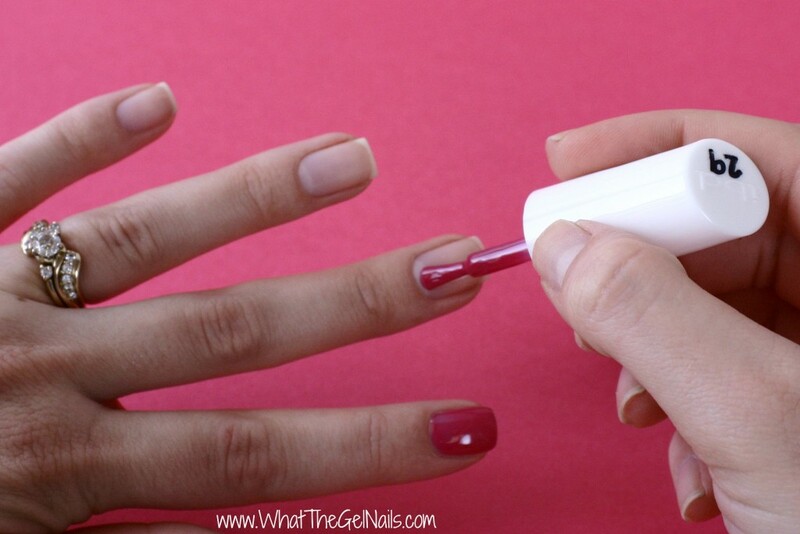 When you are applying top coat, make sure that you completely cover the color with the top coat. 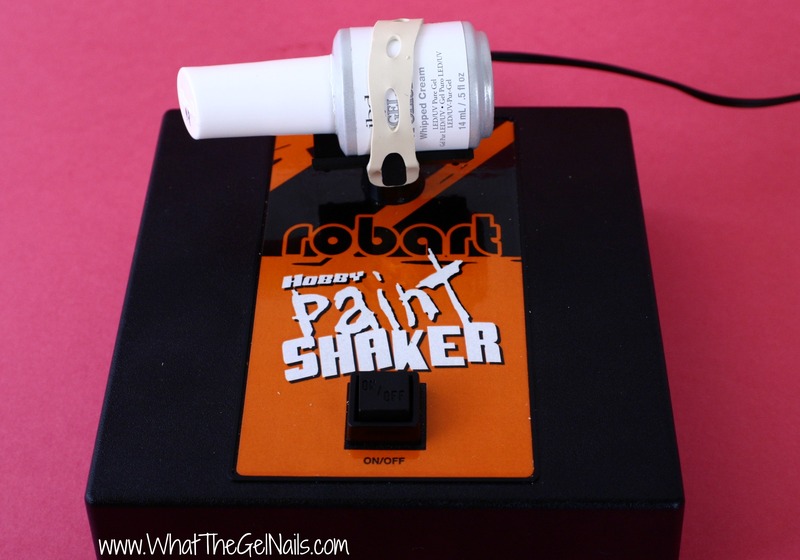 You still need to avoid the cuticles and nail edges, but do cover all of the color. If you don’t, the color will look matte and can be rubbed off throughout regular wear and tear. As long as it’s covered by the top coat, you are good to go. 10. Hydrate, Hydrate, Hydrate. This is basically my mantra when it comes to gel polish. Anyone who has had damage from wearing gel polish probably got it from improper removal or from dry cuticles and nails. As long as you remove gel polish correctly and hydrate, hydrate, hydrate, your nails will be as strong as ever. See 5 Ideas for Cuticle Treatment, Homemade Cuticle Oil, and Homemade Lemon Sugar Scrub.